Samsung Galaxy S10 Screen size is reportedly expected to be massive with more advanced specs in compare to its prior smartphones. The company is worldwide rumored regarding its work on at least three to four S10 versions. Based on some reports from experts, we have now managed to provide a better idea about how top S10 model and its specs would be. According Samsung Galaxy S10 spec leaks, the phone is going to have 6.7-inch screen and support 5G. Also, the company is adding a Time of Flight (ToF) sensor to both of its camera including front and rear. ToF sensor is basically known for judging the distance betweek device and the subject. So, snapping would be more exciting. How many lenses Galaxy S10 Will Have? So far, the reports not cleared about how many camera lenses would be used in Samsung next flagship under S-series, but it’s expected Samsung will put it at six, 4 on rear camera, and 2 in selfie snapper. According to some leaks, it’s assumed that camera aspects would be something different with Samsung Galaxy S10 Plus model. Yes, it’s assumed that Plus model will have 3 rear lenses with advanced screen resolution, because experts say a TOF lens has been added only for Plus model. But, still there’s no complete agreement whether Galaxy S10 Plus will equip 3 or 4 ToF lenses on the back. 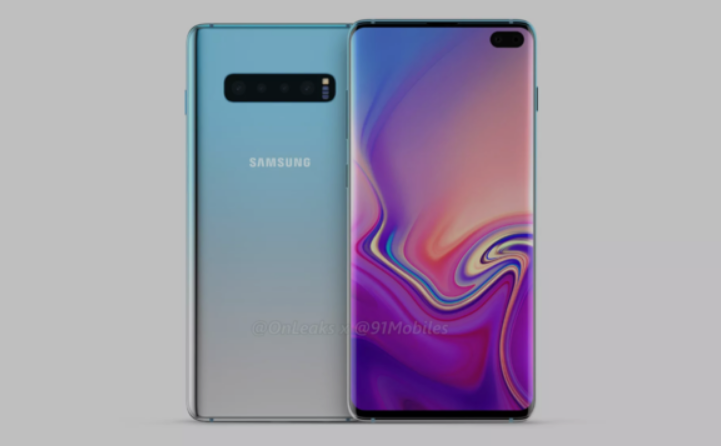 It’s being expected the device will have 4 rear lenses only because, it’s a higher end smartphone from Samsung, however, however this is just an estimation and nothing a real spec for now, but Samsung Galaxy S10 Plus screen size and resolution specs may same. According to what reports state, Samsung Galaxy S10 and Plus model will apparently launch in US and South Korea first, but even the reports not mentioned the device won’t launch elsewhere. Finally, experts say the company has added a 5G logo to S10 new upcoming smartphones which seems probably very cool.